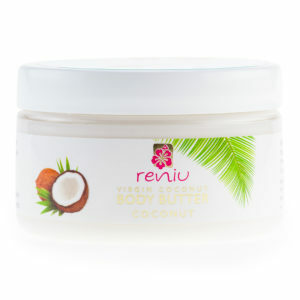 Virgin coconut oil is one of the safest most effective natural body moisturizers available. Use it as a body or massage oil, a pre-shampoo moisturizer – adding sheen and preventing dry hair, or a hand & cuticle treatment. Soothing and healing when applied to skin irritations, it’s gentle even on baby’s skin. 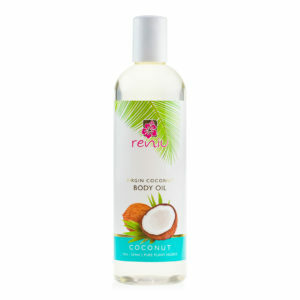 Use in cold or dry weather, the oil is especially effective as an after-sun or daily moisturizing treatment! Simply apply to lightly towel-dried skin after bath or shower. It is quickly absorbed into the skin, leaving it refreshed and glowingly healthy.